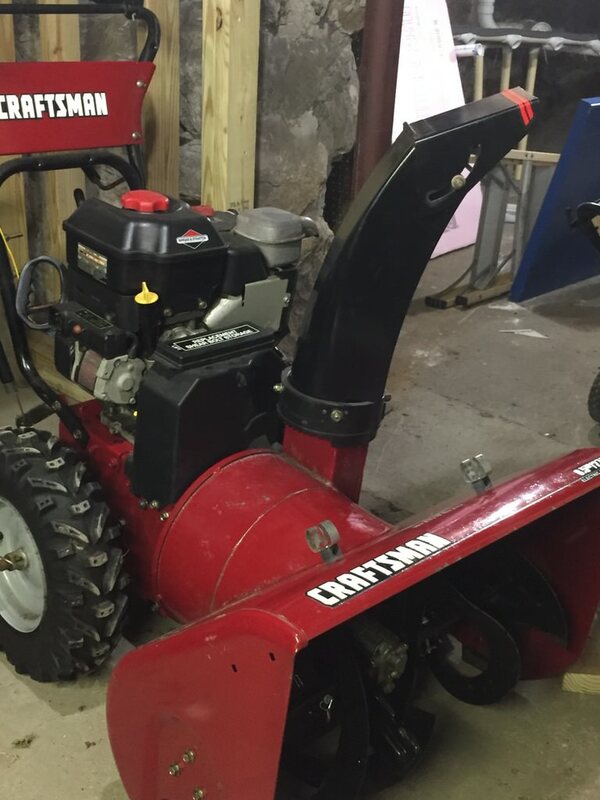 Hi, I picked up a 2005 Craftsman 8hp 27 inch blower that looked near mint at my local scrap yard, model no. 536881851. I was told it was brought in because the owner said it needed a new carburetor, which in hindsight sounds too good to be true. The engine starts fine and will only hunt a bit when you close the choke lever all the way, leave it open a bit and it runs fine. The real issue is the gearbox, which doesn't turn the augers at all. The impeller turns, but the gearbox must be stripped. The regular bolts instead of shear pins didn't help, no doubt. I looked at youtube and saw Donnyboy's vid on repairing a gearbox and the gears appear to be brass which seems like a failure waiting to happen. Is the blower worth repairing or should I just pull the Briggs engine and put it on the shelf for a later project? Last edited by dhazelton; 03-27-2019 at 06:30 PM. You Can Probably get the Gear Reasonably, probably 30 or so, if it's MTD. Might be Worth Fixing if it is Clean. I’ve found that gear for $40 and might be worth getting new seals but pretty easy to replace, Buddy of mine purchased it from me after the repair and still going strong, If it has the plastic chute it may be cracked but there is a metal one from a different model Craftsmen that is a drop in replacement. I’ve found the chute for $20 on eBay. Thanks. Only issue I have is the there is almost zero paint loss on this thing so it hasn't been used much. It makes me think design fault but it also might be the fault of the previous owner using bolts instead of shear pins. I don't want to have much into it if I was intending to flip it if this model is known to be a total dud. Last edited by dhazelton; 03-27-2019 at 08:17 PM. looks very close to the one I had except mine had the 8.5 HP and the seller told me it was his fault as he needed a new pin and just put in a bolt and hit something, So I got it pretty cheap also but was in good shape, Got a decent price too selling as it was in good shape and could have gotten more but a friend purchased, Here is a pic with the metal chute and the plastic one was damage. agree that it is worth repairing since the parts are so cheap. if it shows low hours you can get top dollar next winter. I am with these guys if the part is cheap and if it is a low hour machine then go for it. eReplacement parts and Searspartsdirect has the gear for over $80 and the housing paper gasket is $23 (!). I know I can probably source things cheaper if I look around (someone is selling an entire bucket from a Yard Machine they say fits the Sears and is almost mint for a hundred bucks). No point in rushing to fix it now. Do these fail from the grease drying up inside? Is there any runaround to make sure that doesn't happen again? Thanks. That may be a Murray made machine because it has a rectangular exit chute however maybe MTD acquired the extra already made chutes from Craftsman? Go to first new post Hi all!